Last year the event raised over $27,000 for Cancer Council support services in the Bega Valley. Photos: Supplied. 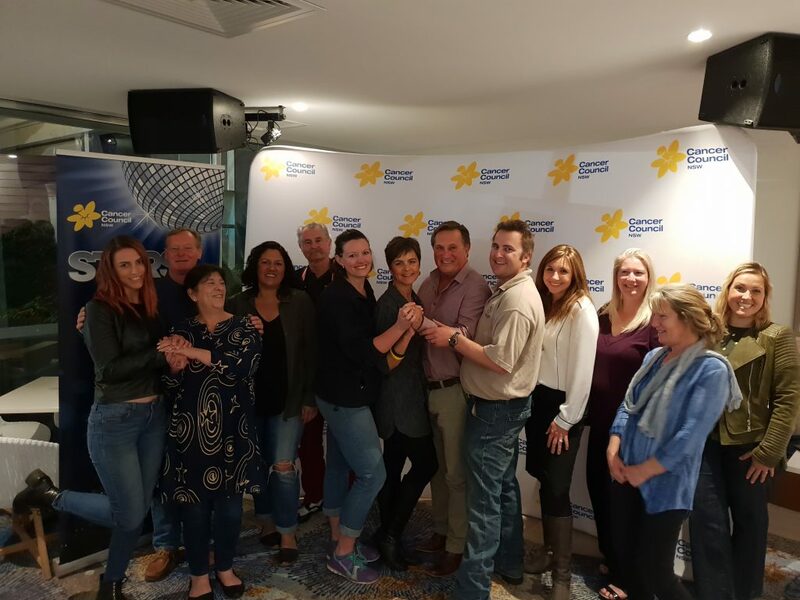 Nine Bega Valley community members are dusting off their dancing shoes and will bust a groove on stage to raise funds for Cancer Council NSW. 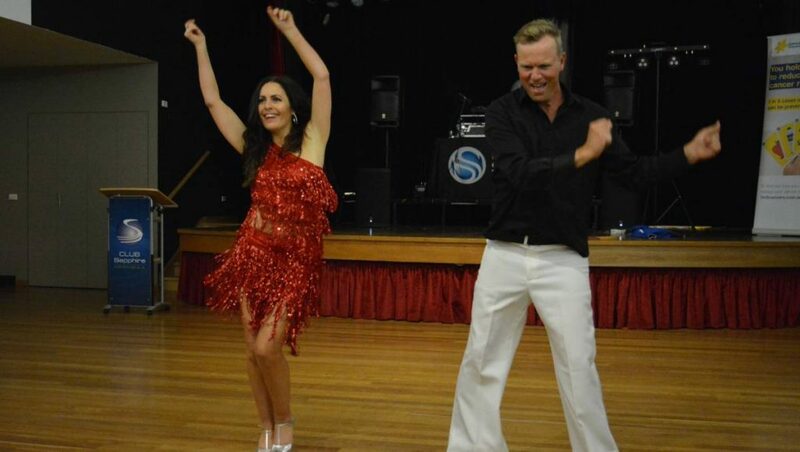 For the third annual fundraising event Stars of Bega Valley Dance for Cancer, each local ‘star’ is partnered with a local professional dance instructor to perform a dance routine, competing for the judges and audience’s votes on the night. The dancers will groove the night away to raise funds for their local community, aiming to raise $30,000 for Cancer Council’s services for those affected by cancer in the community. Cancer Council NSW Kelly Hayes said the night is a fun and entertaining way for likeminded business people to come together and show their support for people affected by cancer. “The courageous ‘stars’ will step out of their comfort zone and put on a night of fun and entertainment, while raising funds for their local community,” she said. Each star will fundraise for Cancer Council NSW in the lead up to the gala event and have their own fundraising page where online donations can be made. This year, the lineup of stars working on perfecting their shimmies, box steps, grapevines, and moonwalks includes an array of Bega Valley locals. There is Frankie Holden and Michelle Pettigrove, a homegrown showbiz couple with stage credits that include musicals, cabarets, comedies and dramas. Don’t miss Clair Mudaliar from E2B Phone repair, who when asked to describe her dance style in three words, said “I DON’T DANCE!” Despite this, she is coming on board this year as the work Cancer Council does in the local community is close to her heart with both grandparents and her mother being touched by the disease. Another contestant is Mia Maze from Click Click Boom, who has a strong love for dancing and grooving and has described her signature move as an “anything goes mum shuffle”, which is something not to be missed. For Melanie Warren from Eden Gas & Gear, dancing might be out of her comfort zone but she is excited to learn and meet some awesome people while raising much-needed funds for charity. Are electricians good dancers? We will have to find out. Rob Zelley is a master electrician and contractor, who last dance on a stage was with his sister at her Deb Ball in 1975. He hopes he can remember a few of their steps! Wendy McDonald will be dancing for her parents, who both died of cancer and is excited to raise money for a charity close to her heart. Gym junkie Lisa Van Der Hout is the co-owner and manager of The Iron Stronghold, a strength and conditioning gym in Pambula. After attending Stars of Bega Valley last year she couldn’t wait to sign up for this great opportunity to dress up. Throughout Debra Summer’s professional career as a celebrant, she has worked with too many families and individuals who have been affected by cancer. The devastating impact this disease has had on individuals, families and communities drives her commitment and passion for doing all she can to support finding a way to defeat cancer. Do not miss an unforgettable night jam-packed with great music, fun prizes, and delicious food. Meet the stars and donate here.